Amazing Views!!! Sought after NW exposure featuring PRIVACY + beautiful VIEWS of the BowRiver & Kensington! 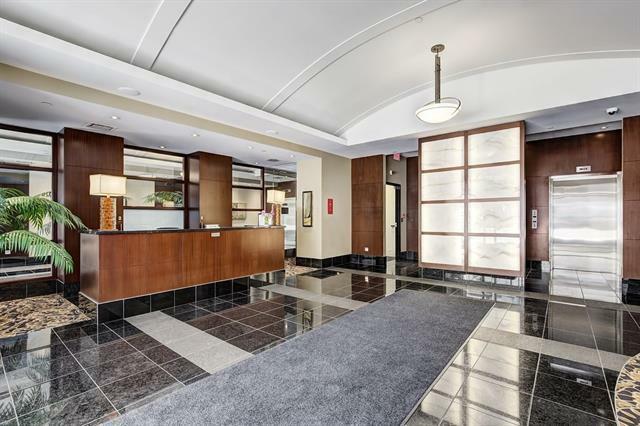 Stunning 1 bedroom open concept unit is move in ready. Timeless kitchenw/ maple shaker cabinets, granite counter tops & stainless steel appliances. Dining/nook area isconveniently right off the kitchen. Spacious living room w/ hardwood floors, corner gasfireplace + floor to ceiling windows. Master bedroom w/ direct access to 4 pc bath. 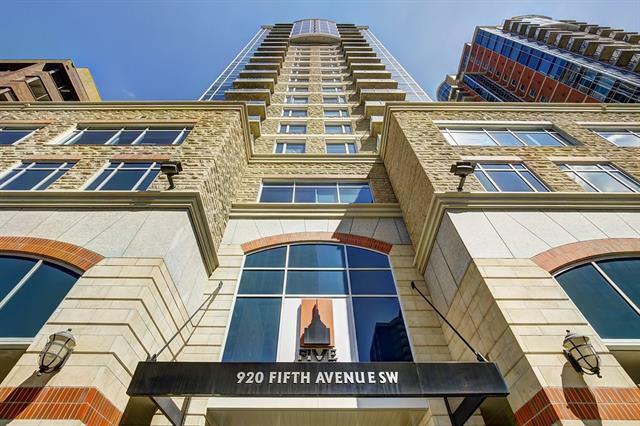 Enjoy theafternoon sun & views on private NW balcony + BBQ gas line. 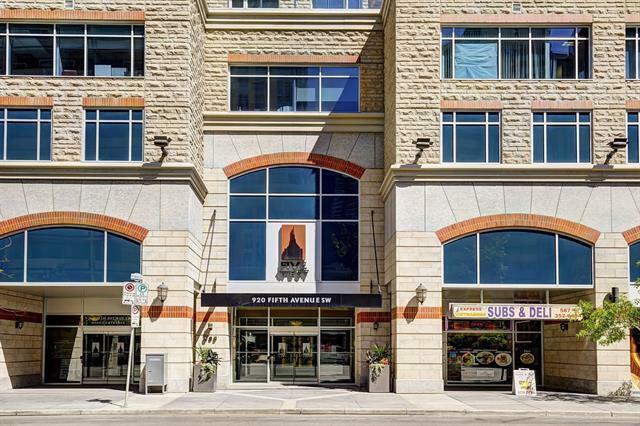 In suite laundry, central AC w/ 4season climate control system, heated underground parking for owners & guests, securestorage locker, owners lounge/party room, car wash, bike storage, 2 high speed elevators &concierge service! 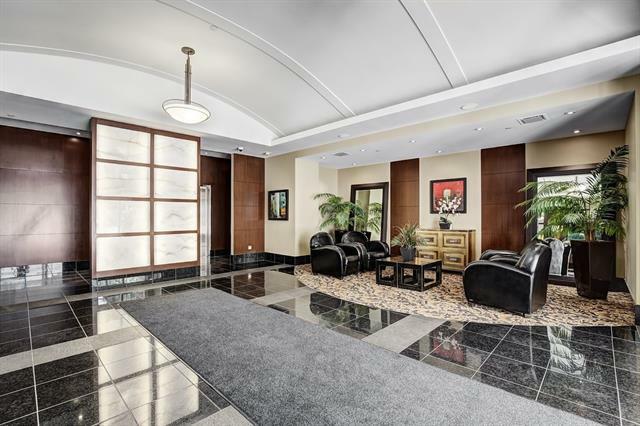 Premium condo in fantastic location w/ short walk to: Kensington, Eau Claire,river pathway system & LRT. Exceptional Value!